Mega Church or Small Church? One hundred years ago, almost every church was a small, community church. But as people have moved away from rural areas and into large cities, churches have changed as well. Presently more people go to “mega-churches” (generally defined as churches of over 1,000 people) than ever before. If you have just moved to a new city, or are looking for a new church to call home, considering whether a mega-church, small church or church plant is the best fit for you is an important part of your decision. 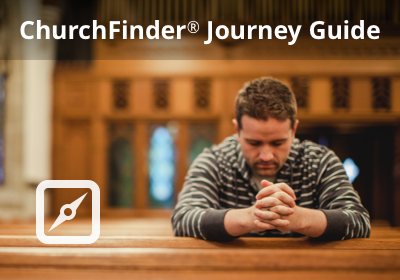 In your church search, be sure to visit at least one small church. Some churches are small for a number of reasons. Geographically it may be small because it’s located in a small town or suburb. If this is the case, it will probably always be small unless industry or some other change alters the geographical nature of the area. Small-town churches can be excellent places to establish community. They normally are composed of family groups who are all related to one another and who will always be there for you once you establish a presence in the church. Normally generations of people have grown up and lived in the community and been part of the same church for years. But small churches aren’t without their challenges. They can become “closed” to outsiders and develop an “us four and no more” mentality. If you haven’t lived in the community for many years or don’t belong to one of the established families, you may have a difficult time fitting in. If you are seeking a church where change and numerical growth is the norm, a small church may not be the place for you. Without a pastor and leadership team who are focused on spiritual growth and reaching out to others, small churches can easily become stagnant. Not all small churches are identical, but most have similar characteristics, some of which are: high resistance to change, leeriness of outsiders, clannish, clickish and a high concentration of related members. Each church is different, so be observant when visiting small churches. A new start-up church - often called a “church plant,” can be exciting to be associated with, particularly if you are at a stage of life where you can get involved with the church’s growth. My wife and I were looking for a small church we could grow with when we were newlyweds. We found a new church that had started less than a year prior but had already grown to around 100 people. We met in a daycare center and later moved to an elementary school before finally building our own building a few years later. Ten years later our little Dallas suburb church has four weekend services with weekly attendance of over 5,000 people and three campuses. But there are a few things to keep in mind with newer churches. First, you may need to plan on a larger commitment of time to help in the church. If the church is leasing a facility for church services (like a public school, daycare center, or movie theater), there will likely be a “setup crew” working before and after every service. This is a great chance to get to know people and enjoy the early days of the church. If you already know you like larger churches, it might be best to start there since there’s no guarantee a small church will ever grow into a larger church. And if a small church doesn’t grow but the pastor and/or staff really wants it to, it can be frustrating for everyone. I’ve been in churches where they are fundraising for a building campaign even when they aren’t packing out their existing facility. Building campaigns like this may be due to the pastor’s ambitions instead of true church growth. This environment can frustrate people and some may leave, which only makes the pastor more frustrated-and the cycle continues. If you’re looking for a healthy, growing church, you should ask around to see how much the church has grown in recent months and if there’s a core group of people committed to the church and excited about it. Also, is the area (town, city or suburb) growing in population, or shrinking? Are there a lot of other church plants in the same area? Do you like the pastor and the church? If all signs point to growth, then it can be a great experience to get in on the “ground floor” of a new and growing church. Mega-churches are generally defined as churches with over 1,000 weekly attendees. My wife and I both grew up in large churches. My church was an independent church of about 2,500, which grew mostly because the pastor was a strong Bible teacher and the worship music was outstanding. People who were serious about learning the Bible and growing as Christians were drawn to the church. The most important thing to consider about a large church is how easily you will be able to get involved and get to the “inside” of the community. Small churches may be clannish but it is possible to know everyone personally. In large churches, one can easily get lost in the crowd, remaining anonymous and feeling alone. This is why most large churches have small groups. Ask if your prospective church has small groups (sometimes called “life groups”) or Bible Study classes where you can get to know people in a small group setting? You will want to make sure you’ll be able to make friends and get involved in the church, so make sure you don’t just choose a large church because you love the pastor or the Sunday services. To really grow and feel part of a church, you’ll want to be sure you have opportunity to meet people and get involved. There is no right or wrong church size; it’s simply what you’re most comfortable with. The most important thing is finding one that’s right for you where you can build relationship with others and grow in your spiritual journey with God. Church plants, mega churches and smaller membership churches all have advantages and disadvantages. And perhaps the most essential consideration is not what a church can provide for you-though important, but what you can give to it.